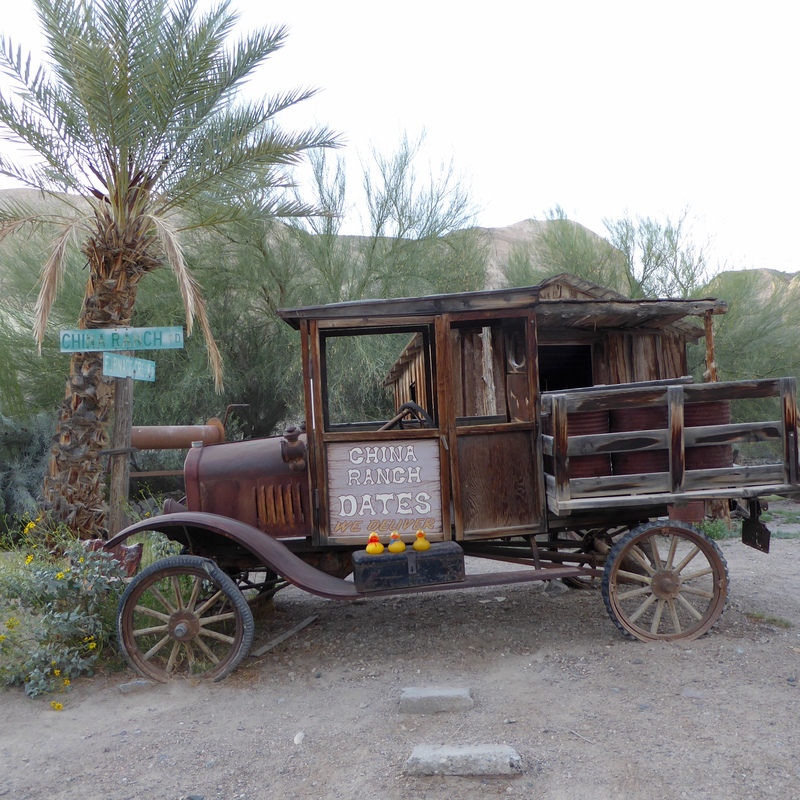 We are going to a farm today, but a farm in the Death Valley area. The date farm is 2 miles away. 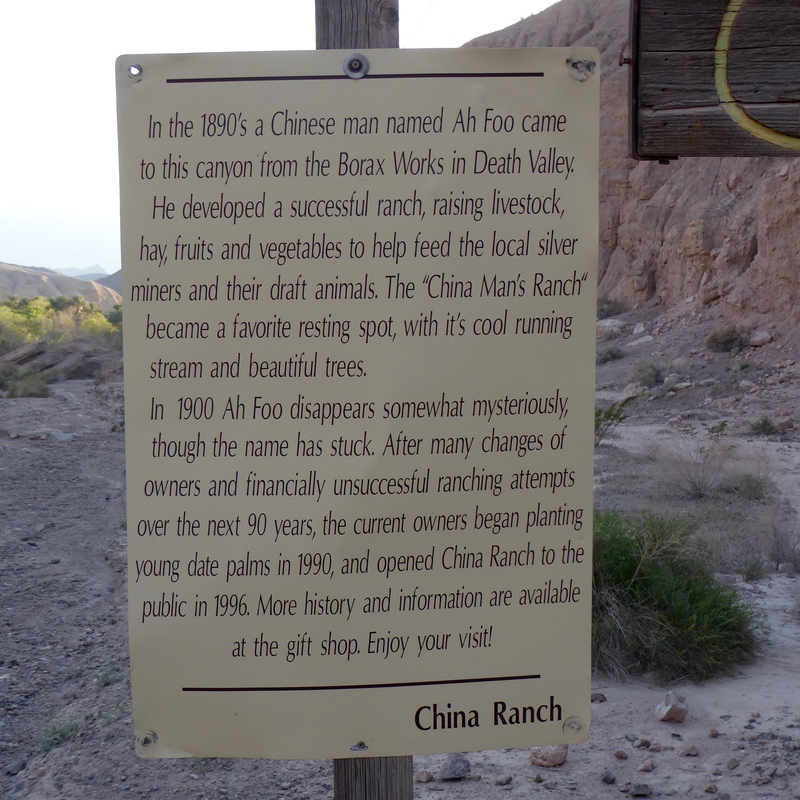 China Ranch is 2 miles from here. Look at this road. This will not be a farm like we usually see. Is there really a farm down this road? But even here, we see some cheerful wild flowers. 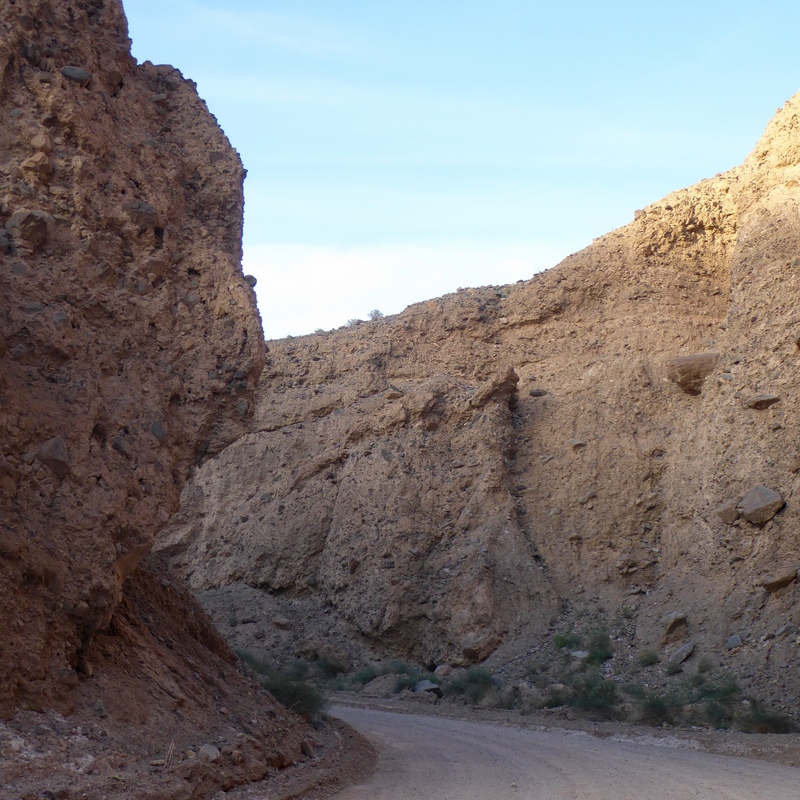 In previous years, mines were in these rocks. 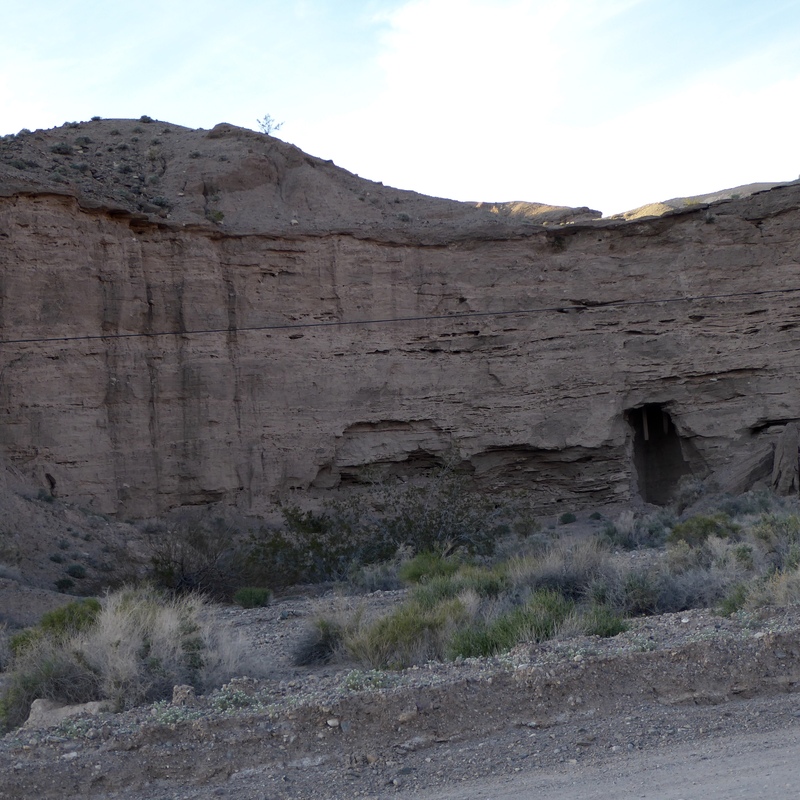 You can see where the miners went in to get silver. 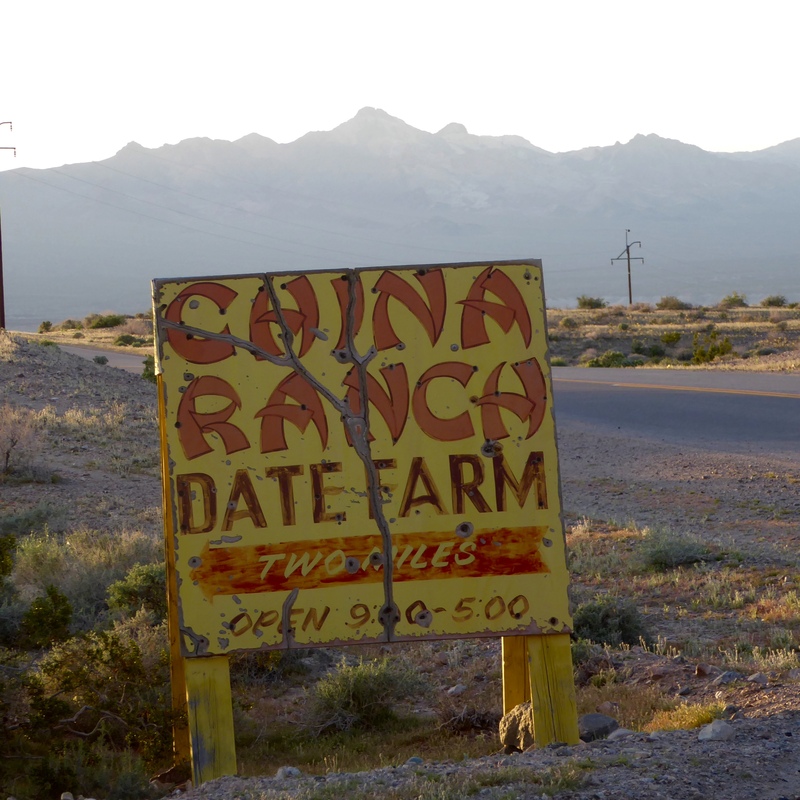 This is a date farm, but what do we, the Colorado Traveling Ducks, know about dates. 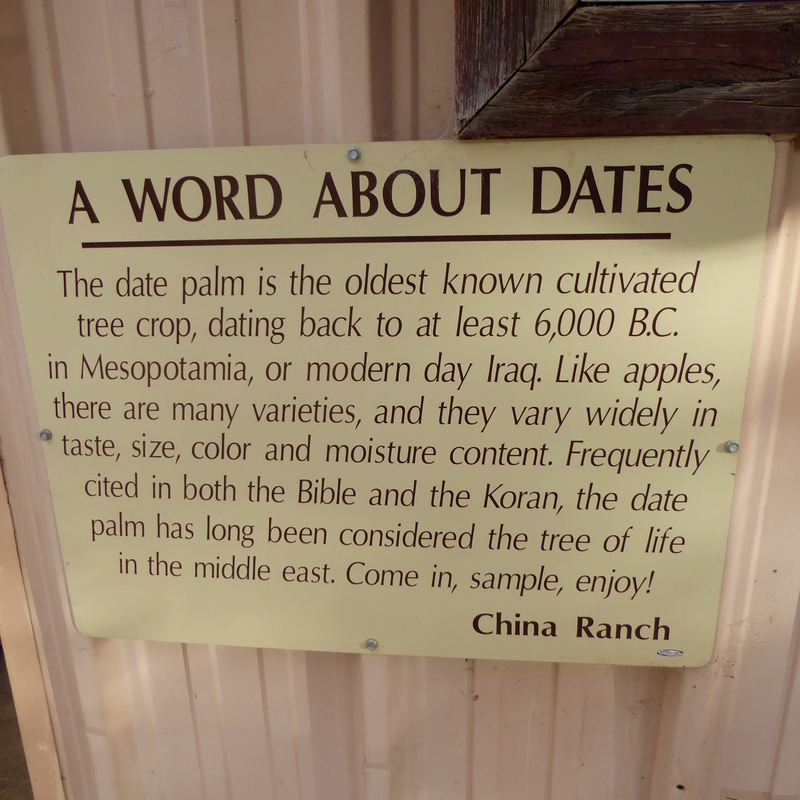 This sign tells us that dates are the oldest tree crop. We did not know that. 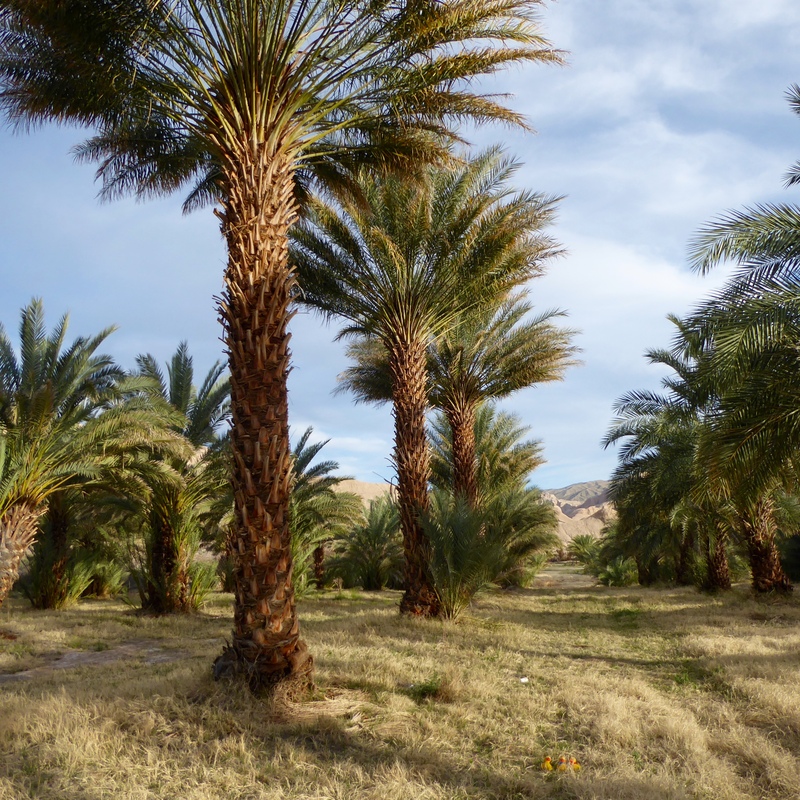 These date trees are palm trees. We are in the grassy road here. Can you find us? 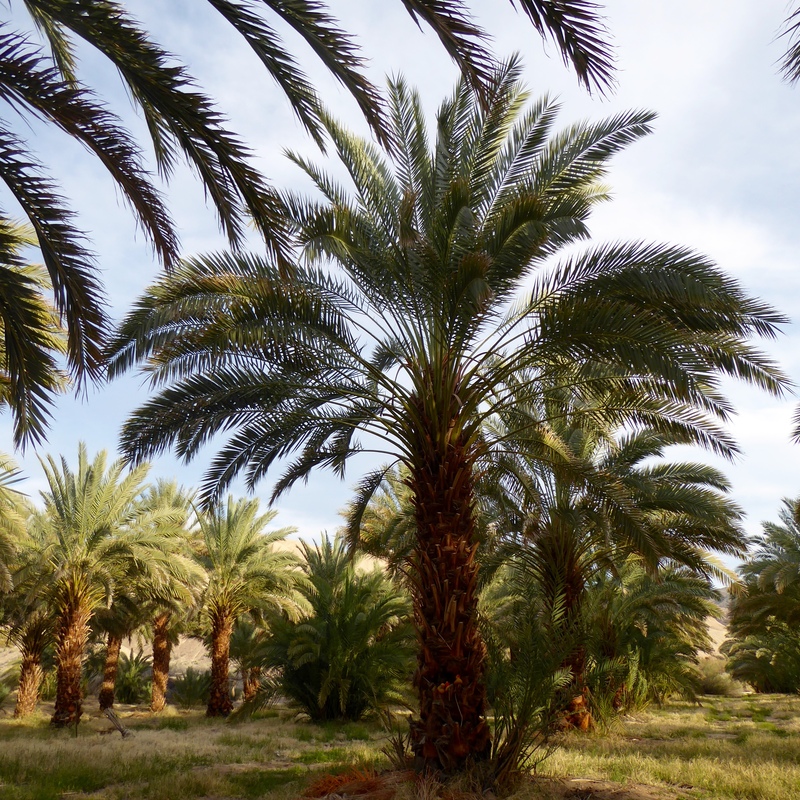 There are many types of palm trees. We are sitting on the tree trunk, held up by date palm bark. To move the dates from the date groves to the store, this truck can be used. We like this truck. 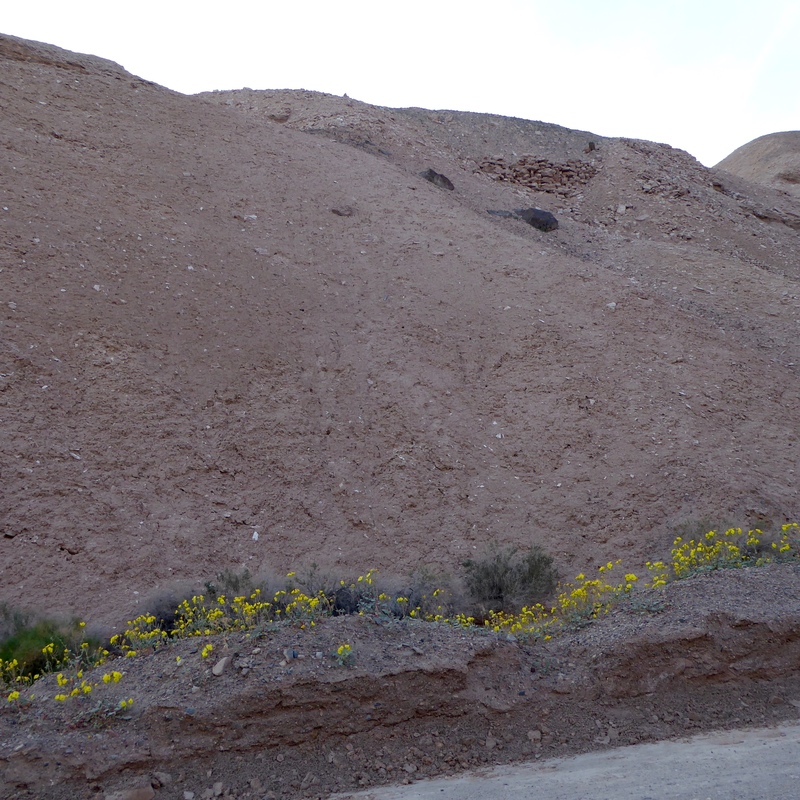 How did a farm get here in death valley area? Ah Foo started it. How did a farm get here? This farm is possible because there is a river near here, and that is the water source for the farm. The modest museum has some history and some items used on the farm in the earlier days. This is a cute museum. 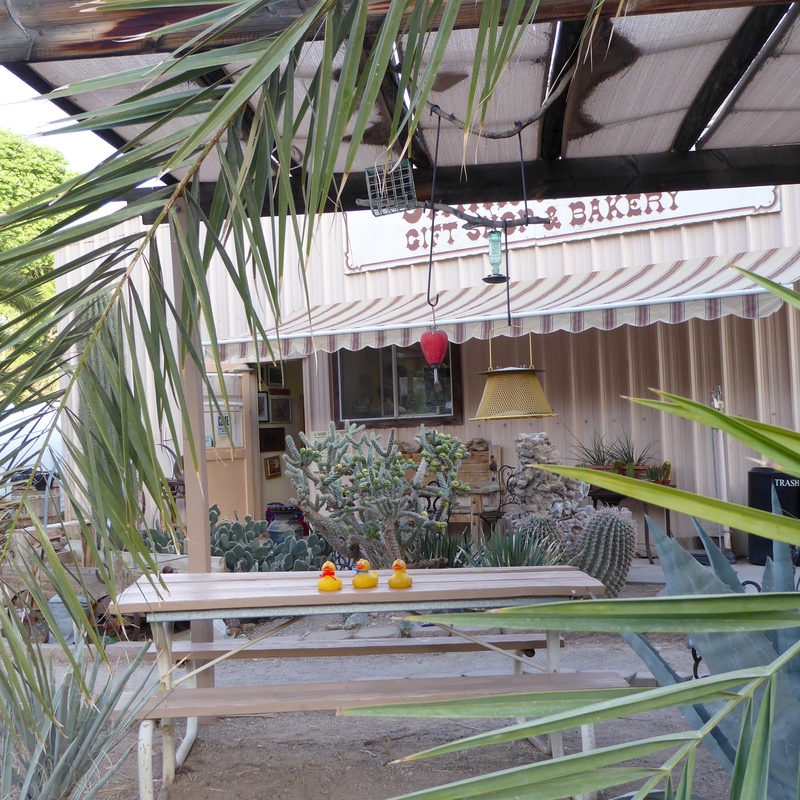 There is a gift shop here and a bakery. We love bakeries. We bought date cookies with white chips and date bread. This is a good place to sit and enjoy our treats. 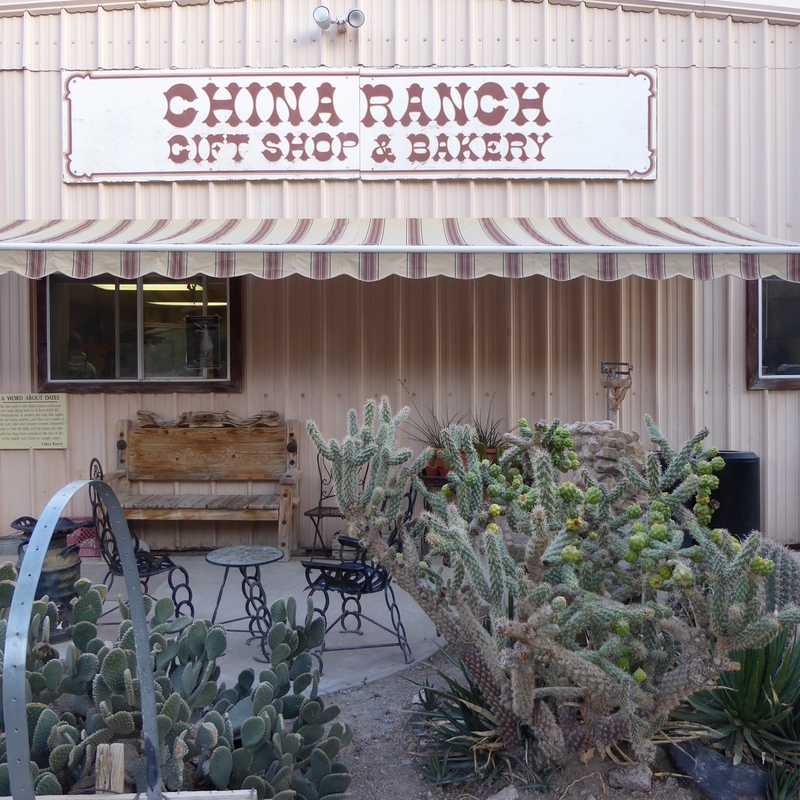 We like China Ranch Date Farm. 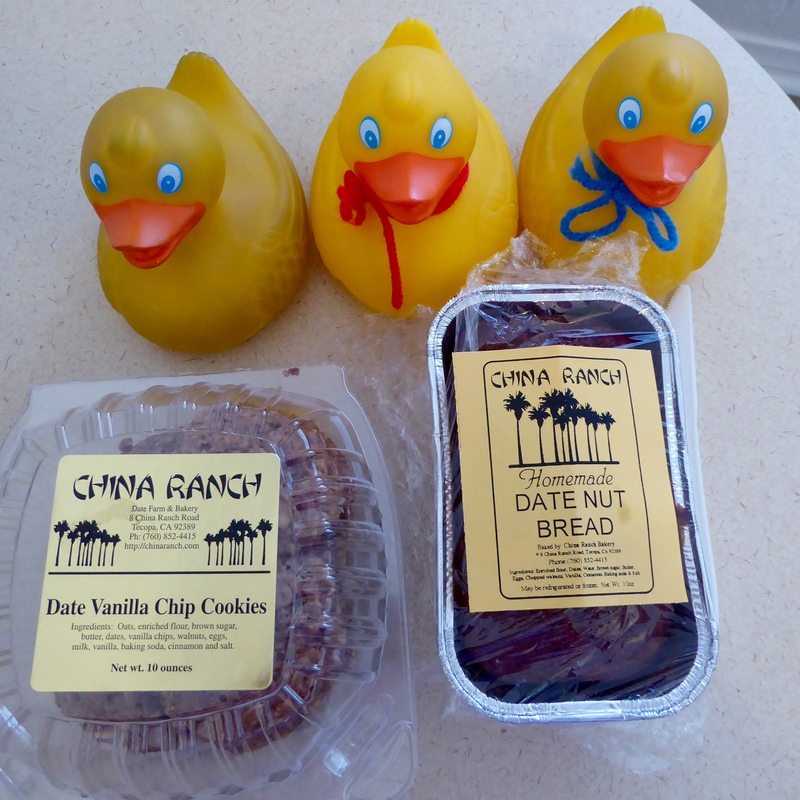 For more information visit http://www.chinaranch.com If you are near Death Valley in Tecopa, California we hope you visit the date farm. 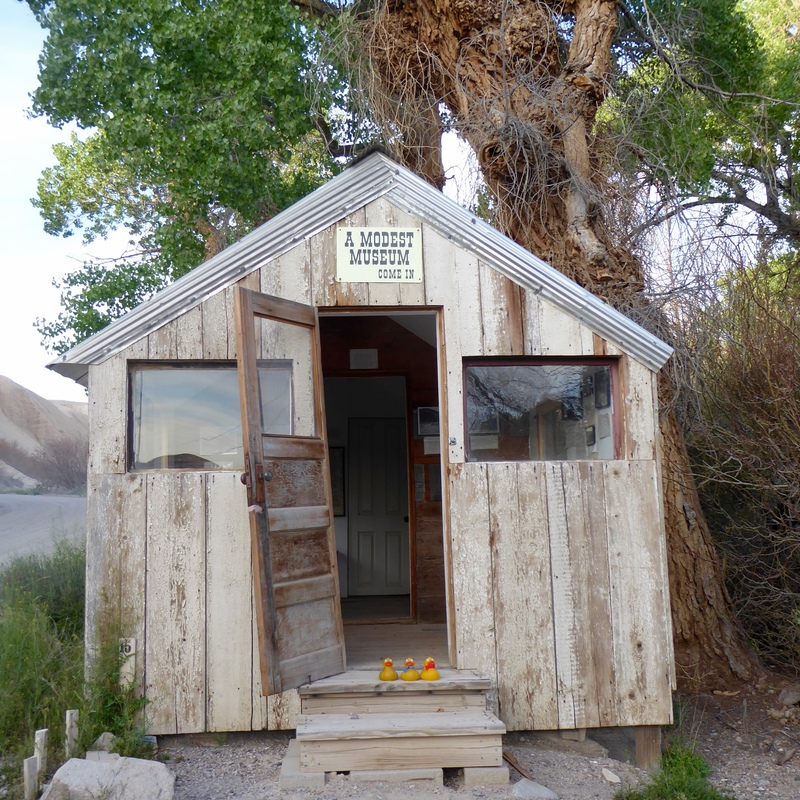 This entry was posted in California, Uncategorized and tagged Ah Foo, California, China Ranch Date Farm, Colorado Traveling Ducks, Tecopa. Bookmark the permalink. I love dates! Were those cookies as delicious as they sound? Absolutely! They were wonderful and I wish I had more right now.